What happens on farms in Georgia and Oregon or ranches in Texas and Wyoming has a direct and significant effect on how healthy hospitalized patients stay in Buffalo, Baltimore, or Los Angeles. And now federal regulators have put in full effect a big change to help protect humans’ well-being by ensuring medically important antibiotics don’t get squandered in agriculture, where they’re used mainly to make livestock bigger and more profitable for farmers and ranchers. Under new federal Food and Drug Administration regulations, antibiotics that are used to treat people and their diseases cannot be fed to animals principally to promote their growth. Before such drugs can be added to feed, a veterinarian now must approve and supervise their use—a new step that will make them more expensive and inconvenient. Animal consumption of antibiotics has soared in recent years. Even with growing pressure from public health officials concerned that the medications’ germ-fighting capacities are diminishing due to over-use, American farmers and ranchers increased their antibiotic purchases by 2 percent in 2015 versus the year previous, federal data show. Growers pumped 9.7 million kilograms of the valuable bug-fighting drugs into cattle, pigs, and chickens destined for American kitchens and dining tables. Stat, the online health news site, quotes Ramanan Laxminarayan, a policy researcher, about the mismatch between animal- and human-use of antibiotics, with ranchers snapping up in their local stores 80- and 100-pound bags of the medications to feed livestock, while a mere 200 grams of the same drugs would require a doctor’s prescription. Health researchers at the Pew Charitable Trusts praised the federal regulators’ crackdown on human antibiotic use solely to promote size gains in livestock. They said that animals sometimes need the drugs to combat disease, and this use, under veterinarian direction, makes sense with limited doses for short periods. 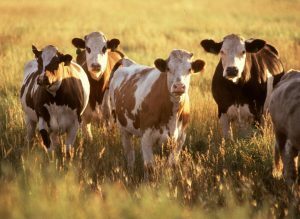 But they noted that even more work needs to be done to curb antibiotic abuse in the food chain. Other health researchers at the RAND Corp. have estimated that the dire consequences of rising global challenges with antimicrobial resistance resulting from antibiotic over-use and other causes. It could lead to scenarios that could see a reduction of 11 million to 444 million in the world’s population, and cumulative economic losses ranging between $2.1 trillion and $124.5 trillion. I’ve written about hospitals and other care-giving facilities growing struggles with outbreaks of antibiotic resistant bacteria, so-called super bugs, and the pain, suffering, and death these can cause for already sick and institutionalized patients. Although American health officials have taken steps to reduce antibiotic over-use, including in animal feeds and in excessive, unnecessary, and ineffective prescriptions, the drugs globally can be misused or abused. Researchers are concerned, for example, that Chinese farmers too readily feed pigs and poultry colistin, an old drug that has become the therapy of last resort for infections resistant to most other available antibiotics. Meantime, because the economics of the medications aren’t lucrative, Big Pharma has shown little interest in developing and bringing new antibiotics to market. I see in my practice the huge harms and suffering that patients can suffer in hospitals, and it’s tragic to know that, with the rise of hospital acquired infections and other causes, some researchers now see medical error as the No. 3 killer in the U.S. claiming 250,000 lives annually. It’s good to see public health officials advance measures to preserve the potency of powerful antibiotics. Even more does need to be done. Iit’s scary to think of the pestilences we’ll confront if we’re not aggressive in our actions now.